Unlike other niche areas, political psychology eludes precise definition. Rather, the practice could probably best be described as a smorgasbord of disciplines that includes anthropology, psychology, sociology, economics, communications, and political science. And within the realm of political psychology, practitioners engage in a wide range of research projects, depending on their particular interests. 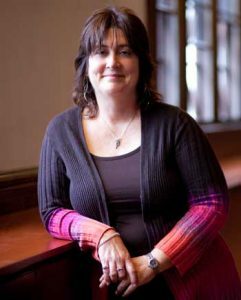 The terrorist attacks on 9/11 proved to be influential in steering Elizabeth Nugent, Ph.D, assistant professor in the department of political science at Yale University, into this career path as she became more aware of the political and psychological implications resulting from trauma. As a student at Cairo American University during the 2005 uprising, Nugent found her research focus when she saw first-hand how suppression affects peoples’ lives and their physical being. Subsequently, Nugent conducted research in Egypt and Tunisia on traumatic events and the way they create and strengthen group identity. For instance, she examined how different “actors” suppress others through torture, exile, and surveillance, among other tactics. She explained that experiencing trauma bridges one identity and creates a new one. While Nugent applied her theory to Egypt and Tunisia, she noted that this same concept could be related to events in Syria, Guatemala, and other global locations where government is in turmoil. The idea of political suppression and psychological impact can also be seen in this country, according to Nugent. As an example, African-Americans and women have been suppressed for years, she said. These groups experience “unique victimization” that creates identity and mobilizes political preference. Furthermore, as a political psychologist, Nugent pointed out that the United States is currently facing some important policy implications. “The inability to cooperate is detrimental for the working of democracy,” she said and cited the fact that coercive institutions, wherever they are located geographically, have a common denominator. These institutions engage in a type of violence with a lot of overlap, such as surveillance, the appearance of surveillance, the use of semi-paramilitary forces, and interrogation techniques, she noted. Nugent hopes that her research in this area provides a better understanding of the bigger questions around political behavior and their relevance to political decision-making. Much like Nugent, Johanna Vollhardt, Ph.D, head of the social psychology program at Clark University in Worcester, Mass. and co-founder/co-editor of the Journal of Social and Political Psychology, focuses her research on collective victimization, specifically violence and oppression and how members of targeted groups make sense of such experiences. She has studied the effects of traumatic events that have taken place in Rwanda, the Congo, Burundi, Cyprus, Sri Lanka, and Northern Ireland on those directly impacted as well as on later generations. She has found that the psychology of an event looks different when it’s a direct experience versus a transmitted experience. Vollhardt’s research is concerned with how to understand and prevent cycles of violence in its aftermath. She reported that more work has centered on why people commit violent crimes and from the perpetrator’s viewpoint; she is more focused on the victim’s perception of the violence. Although much of Vollhardt’s work has taken place outside the United States, some of her findings can be applied to residents in this country. She pointed out that many immigrants and their descendants have come to America because of persecution, genocide, and oppression. So, while they have escaped traumatic situations, they may have suffered negative psychological effects. As co-founder and co-editor of the Journal of Social and Political Psychology, Vollhardt aims to place a greater focus on policy implications and make the findings more accessible to researchers and decision and policy makers. Vollhardt also serves as one of the vice presidents of the International Society for Political Psychology, the primary professional organization for political psychologists. Rose McDermott, Ph.D, the David and Mariana Fisher University professor of international relations at Brown University, trained as both a political scientist and an experimental social psychologist. She draws theories, models, and methods from psychology and applies them to political topics, events, and people. 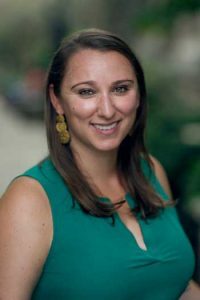 Throughout her career, she has used her training to delve into a number of different subjects and is currently focused on behavioral genetics. One of McDermott’s earlier projects involved a deep dive into presidential illness and its relationship to leadership and decision-making. While writing her dissertation, she examined numerous documents on Woodrow Wilson, Franklin Roosevelt, Richard Nixon, and John F. Kennedy and found a recurring theme. McDermott’s research found that illness, as well as medication to control that illness, affects the ability to make decisions in a rational, cost effective way. “When you get elected, it doesn’t make you healthy,” she said. She suggested implementing some changes to strengthen the amendment. McDermott would like to see a better vetting process regarding the White House physician, who should work for the public and not be a friend of the president. She also believes more medical tests should be required. “Every case has its idiosyncrasies but institutional structures to protect the public, whether related to medications or illness, are important,” she said. In addition to her research on presidential health, McDermott teaches an overview of political psychology at Harvard, lectures on behaviorism, and conducts experiments on gender issues. McDermott’s research has a psychology component, regardless of topic. She uses psychological methods and processes to investigate issues and identify differences and similarities and explained that income, education, religion, urban or rural setting and other demographic variables have an impact. Early career psychologists who might be considering the field of political psychology should be aware that the path is difficult, McDermott cautioned. She pointed out that few programs exist that enable students to do graduate work in this niche. McDermott advised prospective political psychologists to choose a field, incorporate appropriate training and then integrate the desired disciplines. Phyllis Hanlon has been a regular contributor to New England Psychologist since 1999. As an independent journalist, she has also written for a variety of traditional and alternative health magazines and business consumer and trade publications. She also serves as writer/editor for custom publications.